Radiant your Skin Care with the [Benton] Shea Butter And Coconut Body Lotion 250ml! we aim to provide you best korean products to take good care of your skin, including Cosmetics, Skincare, Body lotion&Oils. 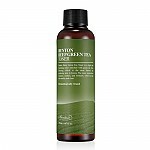 Hydra Body lotion&Oils online. Benton Shea Butter and Coconut Body Lotion is a naturally derived body lotion made with Shea Butter, Coconut Oil, and 5-Hyaluronic Acid Complex. 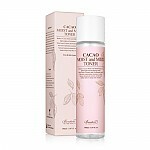 The body lotion helps to keep skin soft and silky without being sticky. Apply a suitable amount to skin and softly pat until fully absorbed.